People often ask us how we find our vendors, well that is a question that has a few different answers. Often, we are approached by businesses who have decided that they are interested in being a part of Tip’n the Mitten, while other times, we are told by customers we should look into a business and inquire if they are interested. Sometimes however, we are just looking for something to fill at niche in our store. This is how we came to find today’s featured vendor, Farmhouse Flatbread and Cracker Company. Most know that we carry plenty of dips and spreads and until we found this great company, all we had to dip were chips and pretzels. Finding a great Michigan-made cracker has been difficult. When we found these brick oven baked crackers, we were excited, but we had no idea how great they were until we tried them! Fresh, crisp and rich in flavor, these crackers are an excellent addition to Tip’n the Mitten! 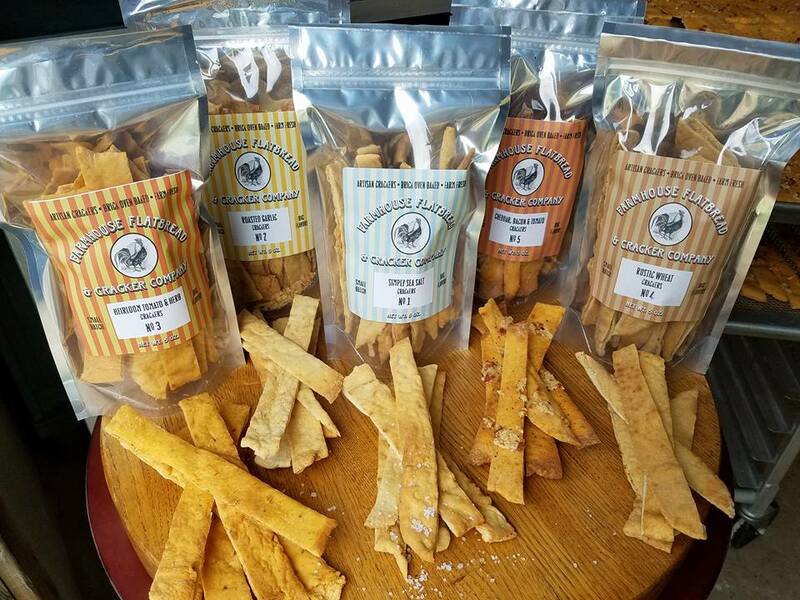 Part of Frog Hollow Farm in Boyne City, this wonderful Michigan vendor is one we are certainly pleased to carry. Cracker options we currently carry include Sea Salt, Roasted Garlic and our current favorite Tomato and Herb. Each is made with fresh ingredients and is great by itself or in one of our dips or spreads! Come on in and give them a try next time you are in town! For more information or to follow Farmhouse Flatbread on Facebook, check them out here.